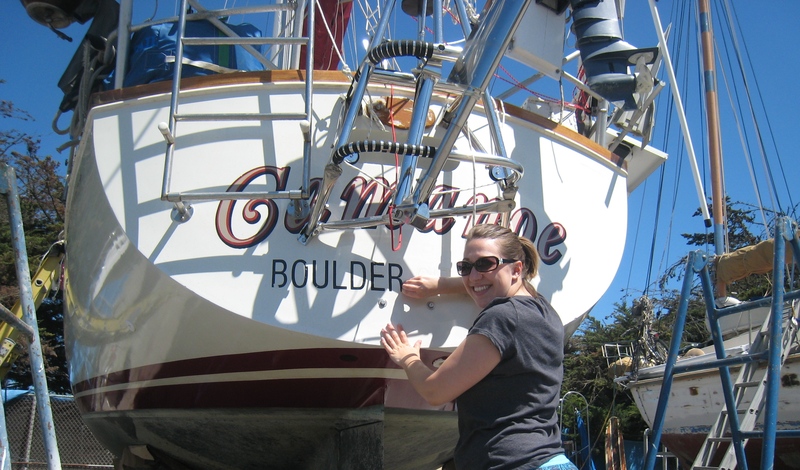 I’ve never been around when we’ve put Camanoe back in the water after being hulled out (although we’ve done it three times in the last year). However, this time I was front and center with my camera. Let’s just say that I was a little nervous. I don’t think I breathed the entire 10 minutes it took to secure her to the crane and get her back in the water. It was all quite smooth though…take a look at the slideshow in the link below (sorry, having WordPress issues and can’t seem to insert the slideshow. grrr). 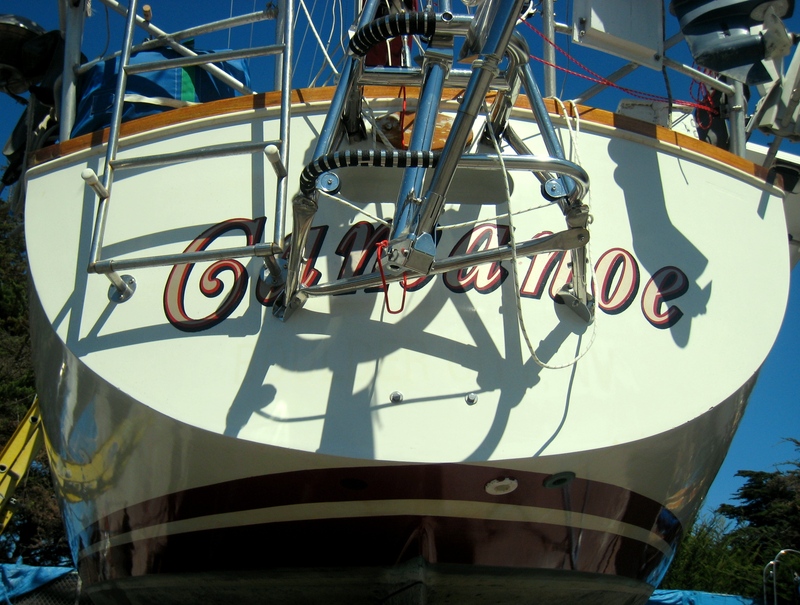 My first official job on the boat now that I’m a full-time cruiser was to change our port of call sign on the transom. 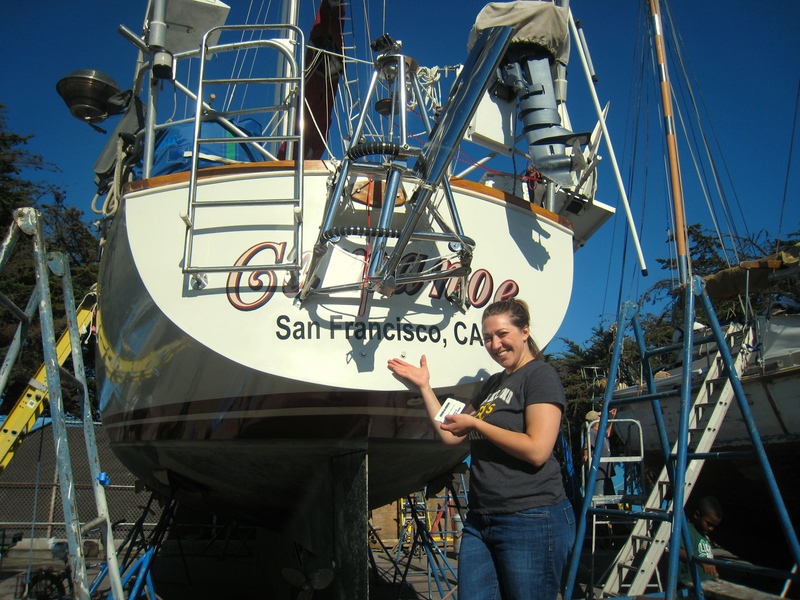 While we’ve always been from San Francisco according to our paperwork, the transom has said “Boulder City, NV” since Dave bought the boat a few years ago. Just one of those things that never got done.